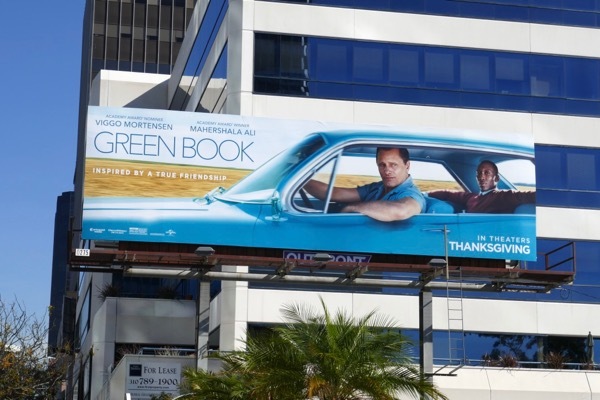 In a world which seems to grow increasingly darker and more divided on a daily basis, the story of Green Book seems to be the perfect antidote this Thanksgiving. 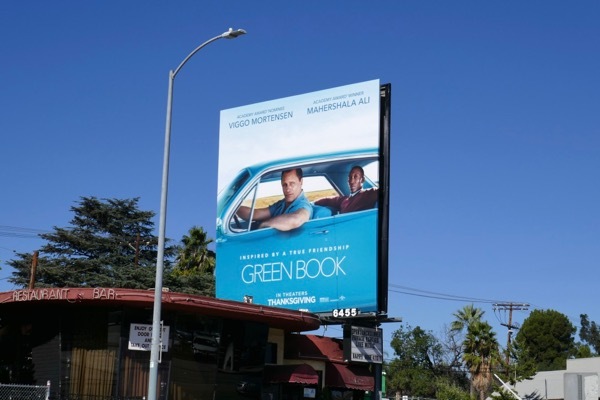 The film is inspired by a true story and true friendship, and stars Viggo Mortensen as Bronx bouncer 'Tony "Lip" Vallelonga" hired to chauffeur a black classical piano maestro, 'Dr. Don Shirley' (played by Mahershala Ali), on a tour of America's Deep South circa 1962, forging a strong bond between the unlikely couple in the face of racism and intolerance. 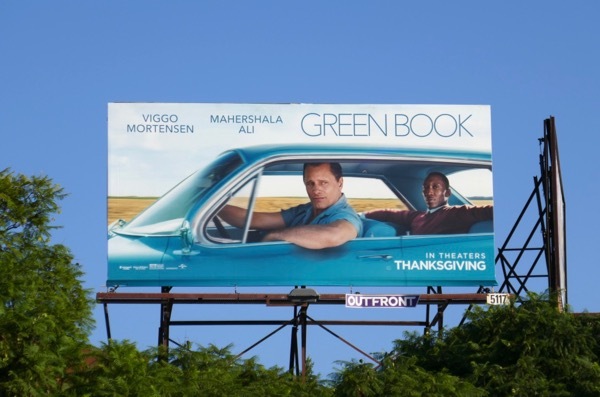 The movie's title is based on a segregation-era road travel guidebook helping African-Americans navigate racial discrimination, Jim Crow laws and to highlight hostile businesses and establishments. 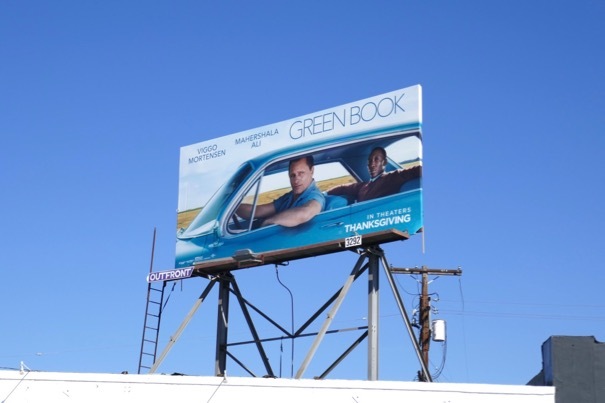 These colourful billboards were snapped along Lankershim Boulevard, Melrose Avenue, Wilshire Boulevard and Santa Monica Boulevard from October 15 to November 3, 2018. 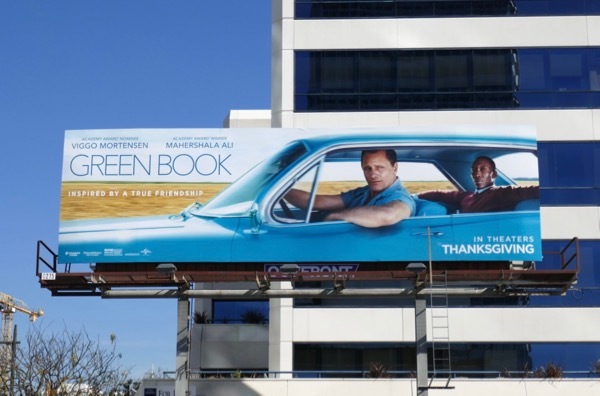 Fans of Mahershala Ali can also enjoy this Moonlight movie billboard and his Calvin Klein Underwear billboard. 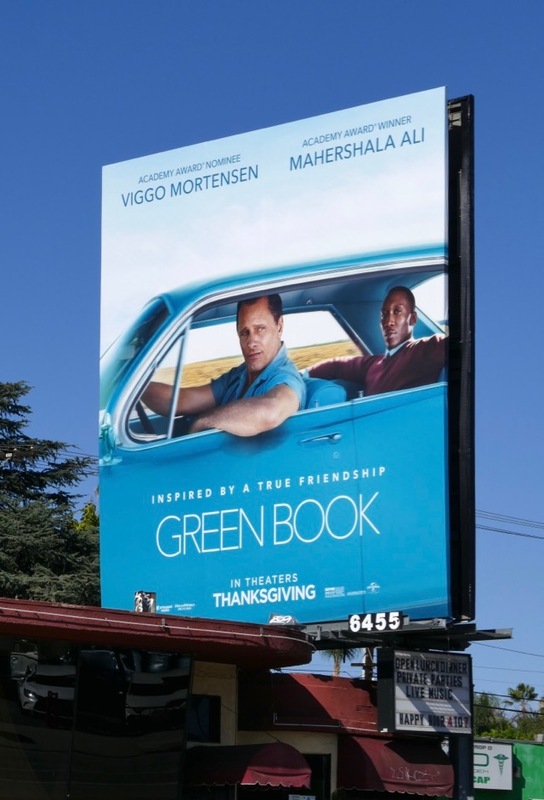 This Thanksgiving Daily Billboard is thankful that there's a heartwarming road movie to remind us of our humanity when we all gather to be with our loved ones.